I often wonder how it is that mothers before us survived without Pinterest. I admit, I have gotten so used to being able to log in at a moments notice and find some adorable craft that will keep Little J entertained for hours. As many of you already know, Snowmageddon 2014 blanketed our lovely city with nearly a foot of snow last Wednesday. 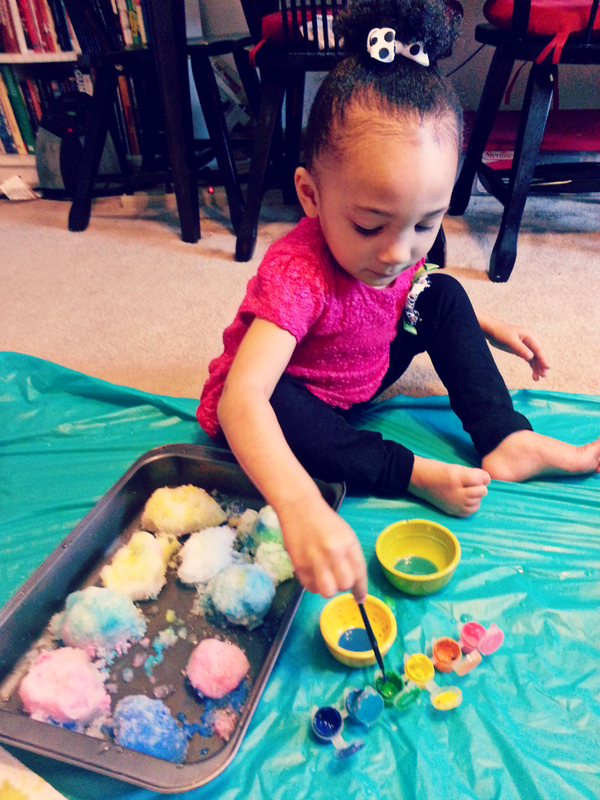 Though Little J is still too young for school, being cooped up indoors all day with nothing to do tends to make her cranky, hence my mad dash for Pinterest inspired indoor activities for kids. Luckily for me, the ladies at Housing a Forest had a pretty nifty outdoor snow activity. This super easy project only requires snow, paint, paintbrushes,a bowl or pan, newspapers or a tablecloth, and an imagination. The best thing about this project (besides keeping Little J happy and busy) is that it's a great way to teach your tots various colors. The project is pretty self-explanatory. 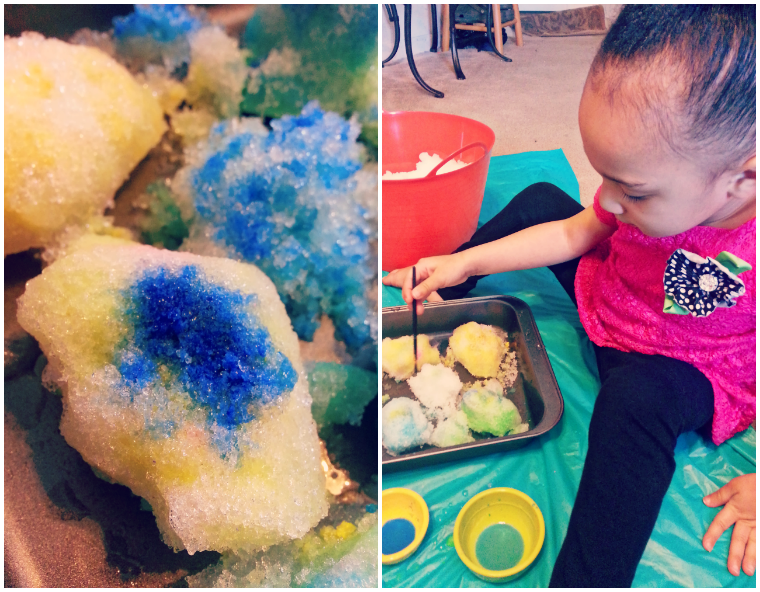 Just add some snow to the pan, arm your tots with paint, and let them go to work. By the end of our session, Little J had added a few more colors to her vocabulary. Success. She was also so drained from the excitement that she actually went down for a nap without too much complaining. Double success. Not bad for having been cooped up for two straight days. Not bad at all. So this is how we spent our Valentine's Day. Painting snow, sipping cocoa, and snuggling under piles of blankets. How was your snow day/Valentine's Day? What a darling activity! How fun! We've used spray bottles to paint snow, but not actual paint brushes. My kids would love this! It's so much fun! My daughter had a blast. 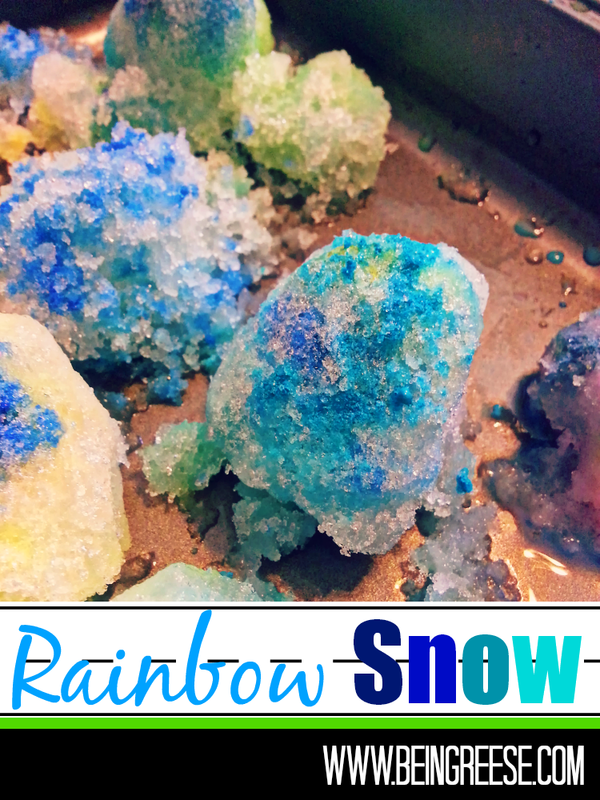 You should definitely let your kiddos give this one a go! What a cute idea! My little guy is still too young for that kind of stuff. I'm patiently waiting for him to be ready so we can have that kind of fun together :) And yay for an uneventful nap. I know how welcome those are! I was snuggled under a blanket most of Valentine's Day. I did manage to cook dinner and watch some movies with the family though. I used to live a lifestyle similar to yours. Now, I'm single in New York and my former life in Charlotte, NC. seems worlds away. Enjoy it because things can change suddenly. I'm sorry to hear that Ruth! I know things are going to change for you. I'm definitely praying for you! Sounds like a perfect way to keep a little one occupied! I don't know what we did without Pinterest either...it's my go-to place for recipes now!